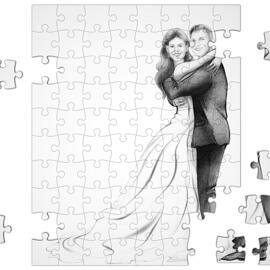 Do you want to give an amazing present to bride on Wedding Ceremony? 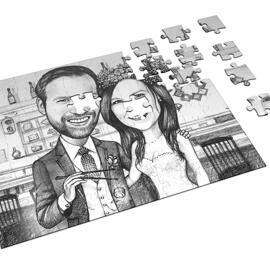 Commission our talented artist from Photolamus to draw a funny caricature from photo of a bride, who will get married in couple of weeks or months. 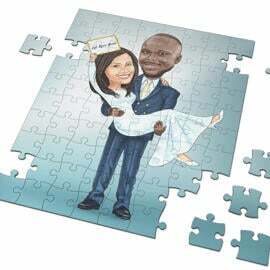 Get prepared for such an incredible Big day, which makes any bride anxious as never, by making a little gift for her, independent if you are dear guest or best friend to her. 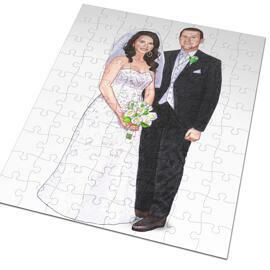 Beautiful Pencils Caricature will make her happy and give her a precious memories of her Wedding Day. 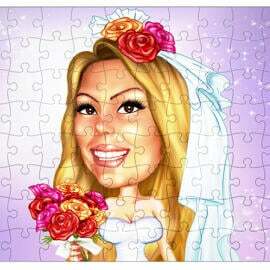 Wedding Caricature of bride will be delivered as a ready-to-be-printed JPG File to your Email by default. 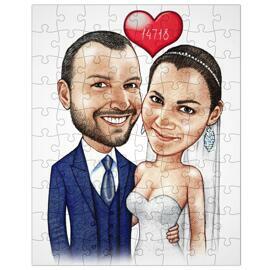 Digital File can be also printed on any surfaces such as cake, t-shirts, pillows, smart-phone back-cases and other types. 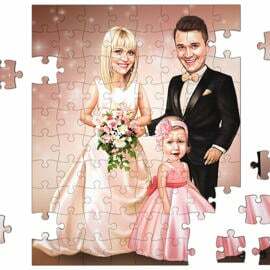 Additional suitable deliveries at extra cost: Original Caricature Drawing on A4 or A3 Paper, Bride Caricature printed on Photo Paper or Canvas of multiple sizes. Any ordered item is provided with worldwide DHL Express Shipping.